Catering entrepreneur Sarah Lewis is launching new brands after flying high with contract successes at some of Shropshire and Staffordshire’s best known venues. Sarah has won a prestigious contract to provide corporate catering at the RAF Cosford Air Show along with further contracts at Middleport Pottery, Stoke-on-Trent and the RIDE Staffordshire cycle festival. The young businesswoman and chef has built a reputation at Lily’s Secret Vintage Tea room, Gnosall. Now Sarah is looking to further her ambitions in the outside catering and events markets with the launch of new ventures, the Beer and Cheese Lady and Polka Dot Catering. “Establishing Lily’s as a destination for good food in a vintage styled venue has opened up new opportunities,” explained Sarah. “I am generating more and more demand for event catering and can see the opportunities for job creation and business growth. Sarah will oversee catering for the Cosford Club corporate hospitality at the Shropshire-based Air Show on Sunday, 11 June, and has been contracted to run a vintage village experience and catering for the traders and stallholders at the event. Polka Dot Catering has been established to cater for mainly the corporate events market, along with private bookings such as weddings, christenings and funerals. Meanwhile, The Beer and Cheese Lady will be a new retail arm to the business trading at large events and online selling artisan produce and gift ideas and providing team building and private beer and cheese experience guided tasting sessions and live music. 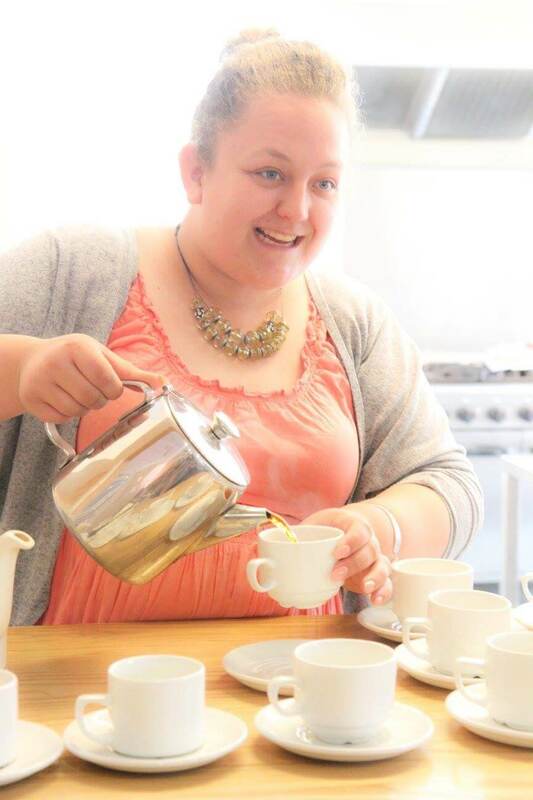 A trained chef, Sarah, 27, from Newport, Shropshire, founded Lily’s Secret Vintage Tea Room in 2014. While the “secret” tea room is tucked away in the nursery on the Stafford to Newport Road (A518), it has become a popular meeting place with a growing reputation for Sarah’s home baked treats and its vintage ambiance. Sarah has also made Lily’s a popular venue for community events and craft workshops. The day-long celebration includes entertainment and live screening of the Tour de France at Chillington Hall.